Computers have revolutionized our lives, becoming an irreplaceable part of our life. From shopping, games to work, you can do almost anything with this one machine. A computer is made up of a combination of various different parts which can extract a different type of functionality from the computer software. 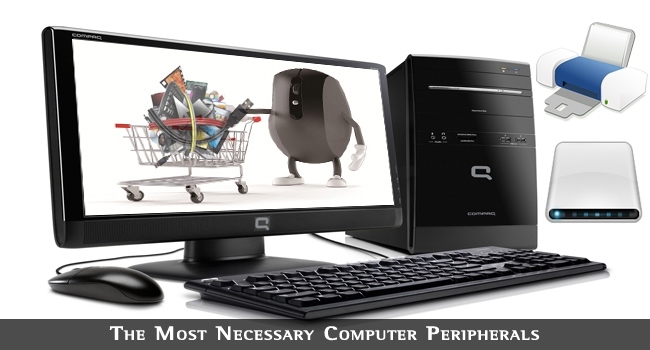 One major part associated with computers is that of peripherals. Peripherals are optional devices attached to the computer to enhance its capabilities, which include storage devices, input devices, communication devices as well as output devices. Some peripherals are life and blood of a computer, and I’ll talk about them in this article. Without the keyboard, it would not have been possible for you to communicate with the computer to do what you require. The keyboard has an arrangement of keys, with letters, numbers and signs for you to type. There are several features and functions that are activated by pressing several keys simultaneously, such as pressing CTRL and C at the same time will copy your data and CTRL and V at the same time will paste it. The mouse detects two-dimensional physical motion which it translates into the motion of the cursor/pointer on the computer display. Mice have two buttons, one for left click and one for right-click. Additionally they also have touch surfaces and wheels for extra control. A mouse makes it far easier to handle the controls of the computer, and with the new wireless and Bluetooth mouse models, the control is even more precise and clutter-free. The optical and laser mice used today are lightweight and extraordinary when it comes to function. Sure there are touchpads available which can substitute for the mouse, but their smooth and versatile functioning cannot be replaced, which is why so many people today are using the mouse even with their laptops. All modern computers and laptops today come with a good amount of storage data, and though it may seem like you would not need any extra storage space, you are wrong. With movies, sitcoms to games, you have several media files that you would like to store, and you do not realize when ten movies turn to hundred and you are left with zero space for anything else. Another very important purpose of owning a hard drive is data back-up. You never know when a virus or technical glitch will cause your computer to crash, leading to a loss of valuable data. Storing all your data on an external drive will ensure your data remains safe if tragedy strikes. An external hard drive or a hard disk drive is a data storage device which stores and retrieves digital data. It can retain its data even when powered off. They have come a long way from their creation in 1956. Today’s models have a large amount of storage space ranging from 500 GB to as much as 3 TB. You can buy an external hard disk of a size depending upon your requirements. Ideally, I would recommend that you should have at least one for backup purposes. Most people shy away from a printer due to cartridge costs, but that is perhaps one of the biggest myths associated with printers. Sure, you can get all your printouts at the nearest stationery shop, but owning a printer gives you the flexibility to work and print documents according to your convenience. Whether it is that last minute presentation document or sudden project submission, printers will be your one true friend. 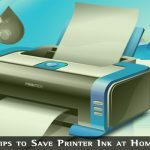 Of these inkjet printers are much more common and suitable for individual and small office use. They are inexpensive and give out high quality prints. The main component of an inkjet printer is the ink cartridges. They come in different colour combinations for your convenience, so you can select as per the type of printing you will need to do. A common misconception is that ink cartridges greatly increase the cost of owning printers. Ink cartridges are expensive, sure, but if you can recycle and reuse them, you can save a ton of money! Many manufacturing companies offer recycling accounts wherein you can sell your old cartridges and get discounts on future purchases. You can also opt for refilling, which involves filling the ink in the cartridge by means of a refill kit. Buying ink cartridges in bulk is also a very cheap option helping you make great savings. Hope, these cool tips will help you a lot is saving a few bucks. This article has given a very useful info about computers. Because nowadays people use computers in every walk of life like from children playing games to elders using to work at home. So, this info would be useful to any age cycle whether they are techies or non-techies. It works just by pointing with your index finger. I definitely need one. Thank you Vedant kumar for such a nice article..
Well according to me keyboard and mouse are most important things which should be of good brand and also good for usability. I know how to use computers and also know about many different hardware brands and software as well. The article is great for someone who would like to have their own home office. It lets you know what you would need in order to get it up & running.